Savvy Spending: Pizza Hut Book It Program: Now enrolling For Homeschool Families for 2019-2020! 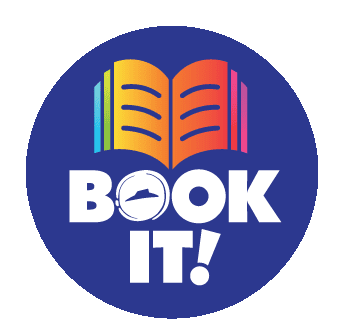 Pizza Hut Book It Program: Now enrolling For Homeschool Families for 2019-2020! Registration is open for the Homeschool Pizza Hut Book It Program for next school year! Kids in grades K through 6th can receive a FREE Personal Pan Pizza every month during the 2019-2020 school year when they reach certain reading goals! All individual Homeschool families must enroll separately. Book It certificates will be mailed via USPS in mid-September. The program runs from October through March, with the final certificate expiring in May. If you are not a homeschooler, you can visit this website to see if your school is registered and signed up to participate in the Book It program. We love this program! There is no purchase necessary to use the Book Its and you can use them on carry out or dine in!